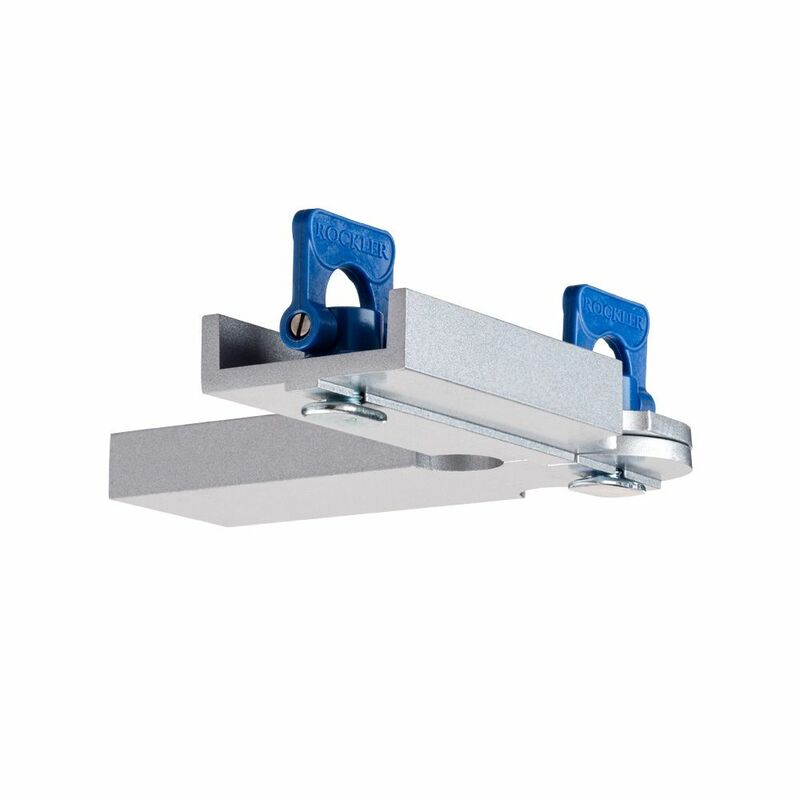 Right angle stop cradles the corner of your workpiece to keep it securely in position. 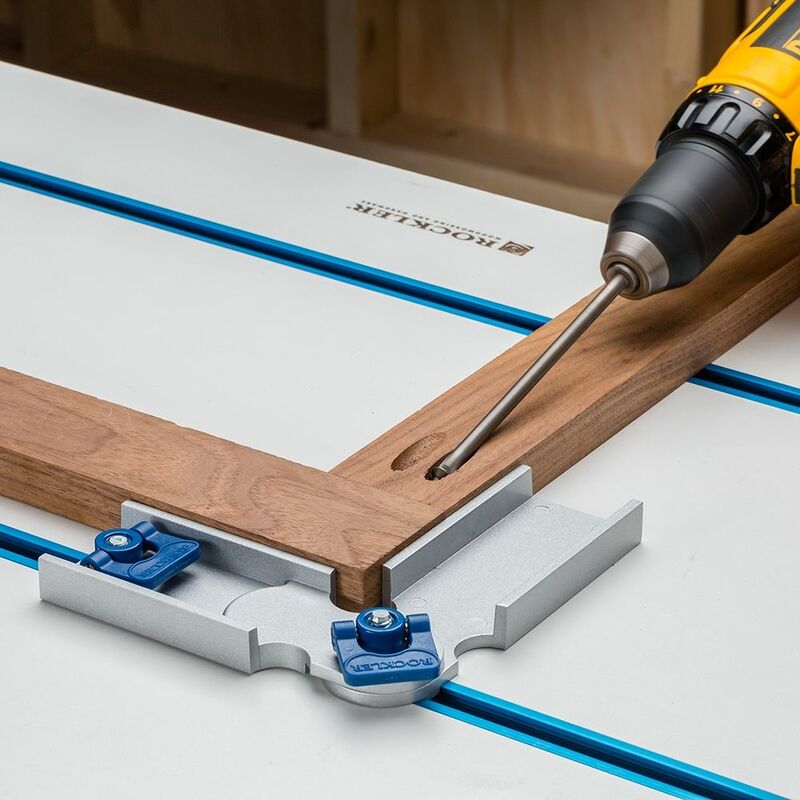 The Rockler Corner Stop has all the benefits of our other T-track stops, but with a right angle shape that securely straddles the corner of your workpiece. 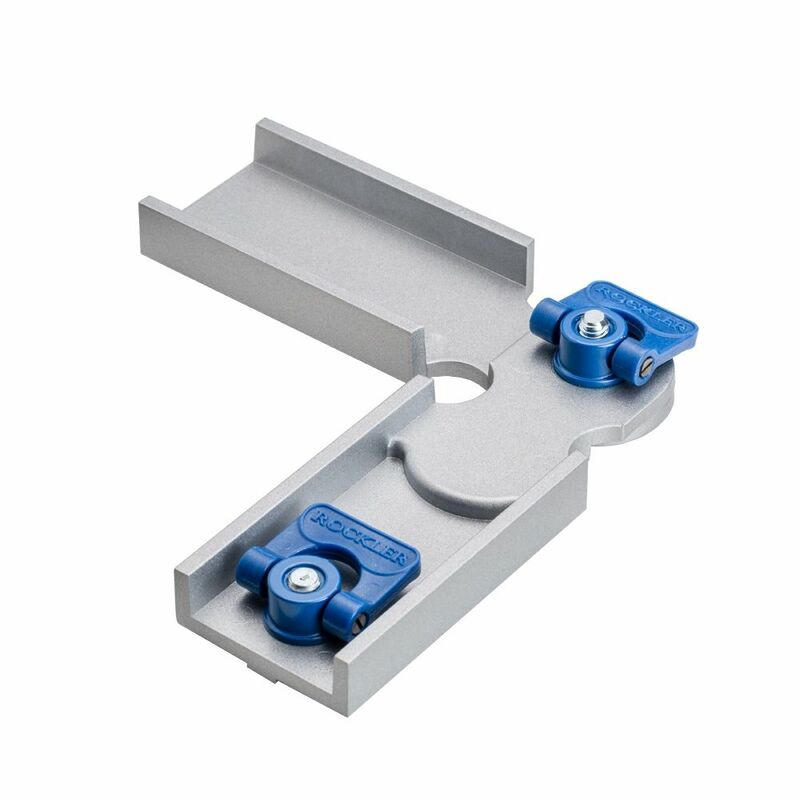 Since it provides a 90° reference, the stop is ideal for pocket hole face frame assembly. 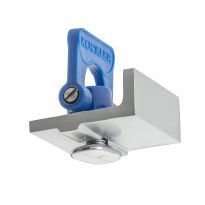 It pivots and locks into detents at 0° and 180° for either a right- or left-handed corner. 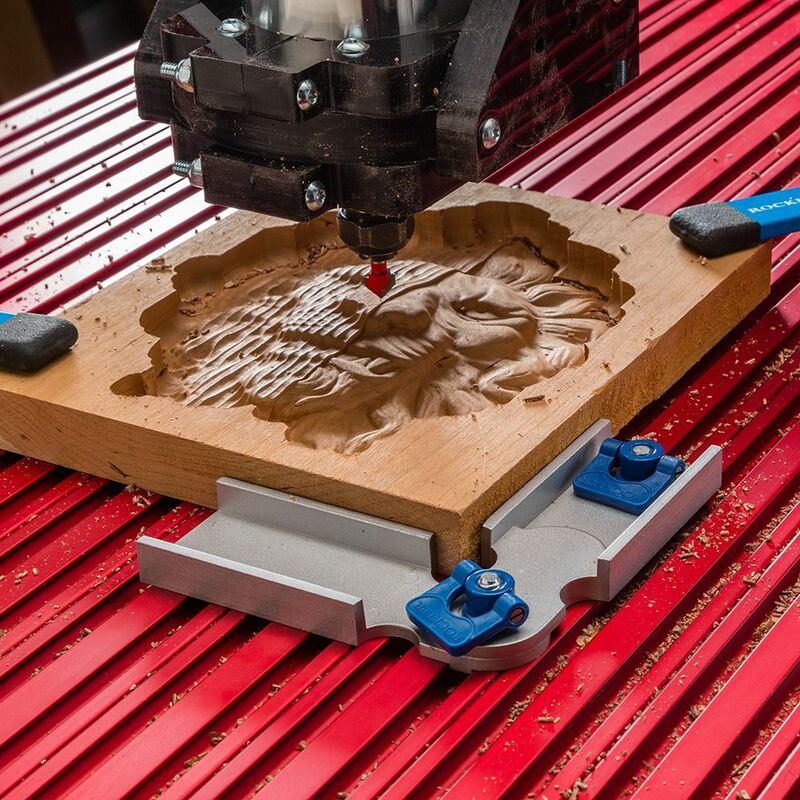 A round recess at the inside corner provides bit clearance when zeroing your CNC, and prevents sawdust and debris from gathering in the corner. 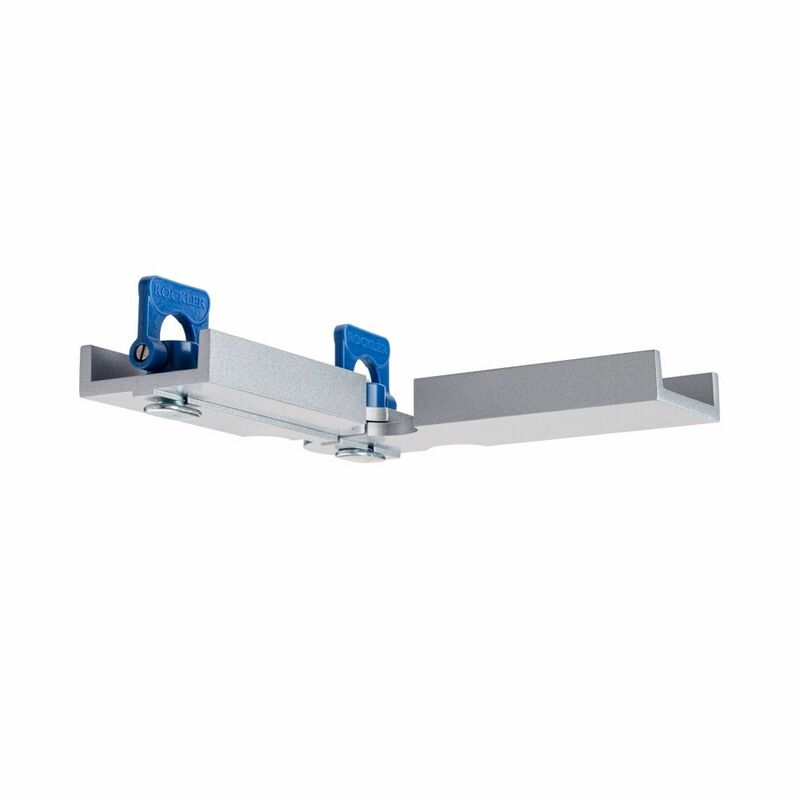 The stop works seamlessly with the other T-track stops in our lineup. The distance from the T-track to the edge of the fence is the same on the Corner Stop as it is on the Long Stop (#53845, sold separately), making alignment effortless. 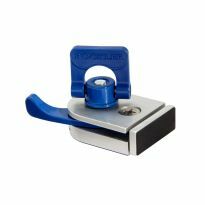 Like our other Rockler T-track stops, the low-profile knobs fold flat for clearance when belt sanding, hand planing, scraping dried glue and CNC routing. 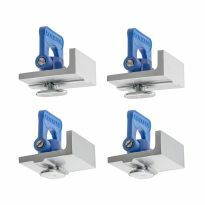 the Cornor stop was able to replace four jigs that had to be made for different projects. does not matter the wood as long as it has a 90 degree angle i can suare it and have a constent starting point. 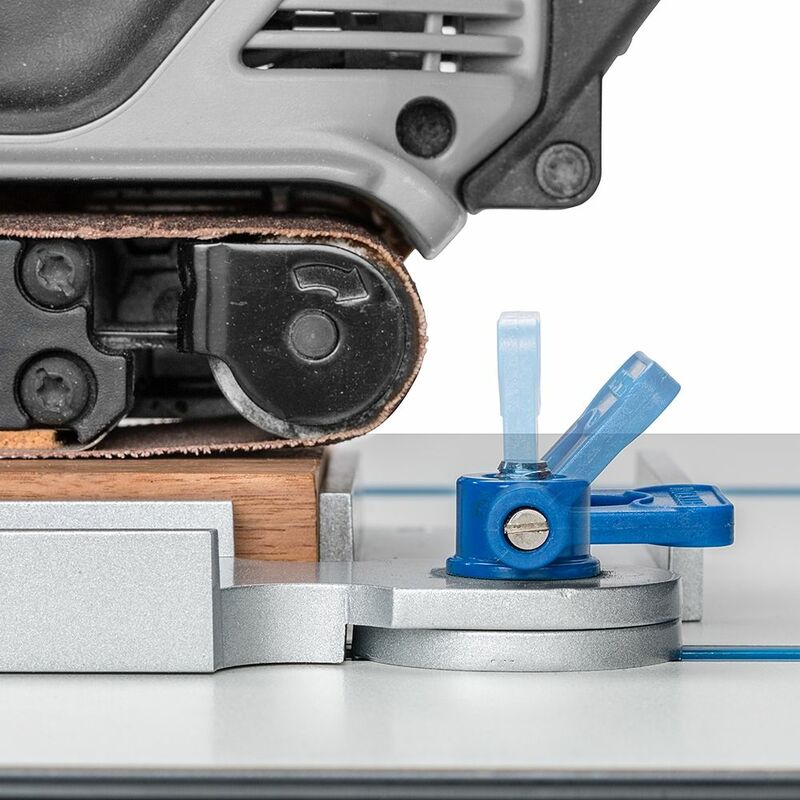 This corner stop is secured to my Rockler T-Track table 24/7. This is one of those tools that gets used a lot more than I ever thought it would. I bought two of these for making raised panel cabinets. Did some dry test runs and they delivered what I wanted. The problem I had was the tightening tab is held in place with modified set screws. On one of the tabs both set screws are stripped. I fixed it using a little glue, but damaged right out of the package. I was pretty excited to add this too my T-Track setup, but I'm quite disappointed. First, there seems to be an awful lot of wiggle in this. I would have been better off making my own fixed versions for left and right corners. It is also a little on the short side. I probably would have been better off buying 2 of the long stops and relying on my tracks being 90 degrees. The long stops would have also had many other uses than just using for the corner. Bottom line is I'll use it and it is better than what I had before, but recommend buying the long stops or making your own fixed version. Best way to keep a project square on the table. 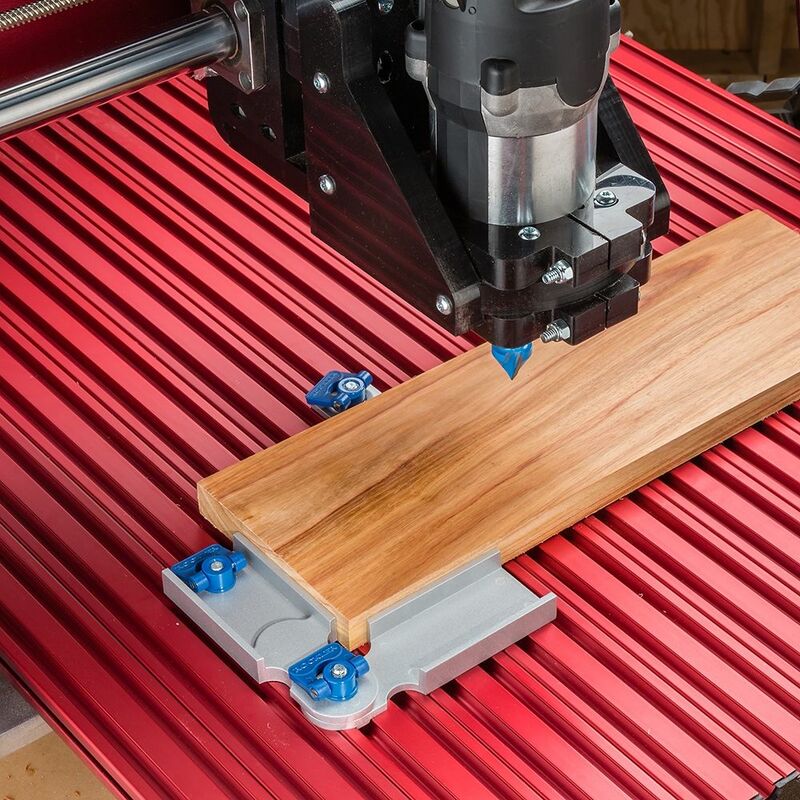 For use on CNC router. provide a locked in starting point I can Zero to and all workpeices clamp into. Requested by member of Sun City West Wood Club. Handy for holding sanding work. to ad more ease of use to my T-track. I needed a 90 degree corner for my CNC machine. Every corner needs a quick way to get square. 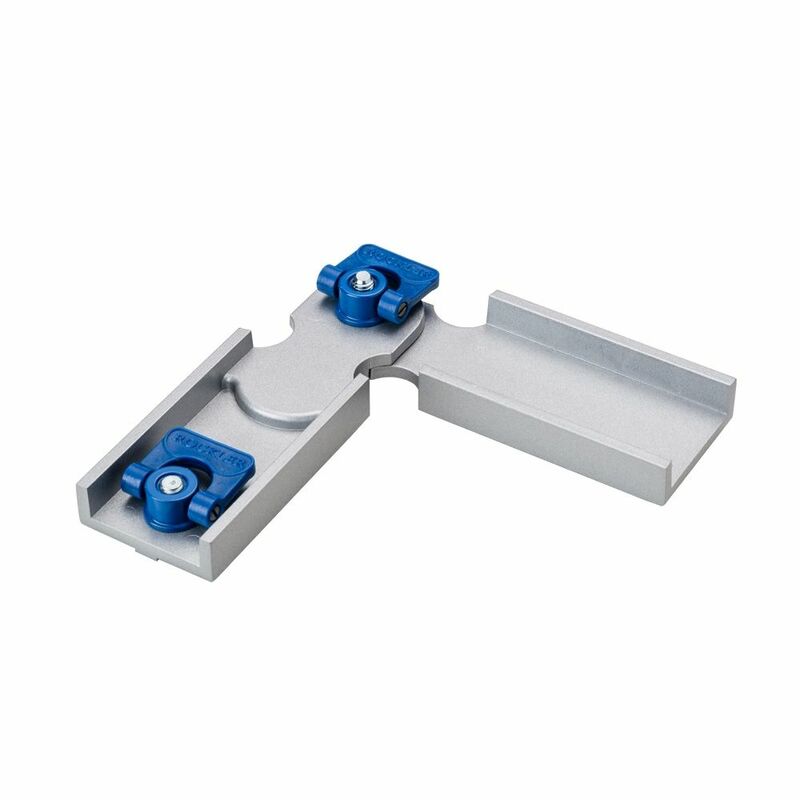 These stops are great for quickly and accurately flushing up stiles and rails while pocket screwing frame frames. I am a handyman and some of the projects I make is picture frames or frames for Jersey's and I have a Rockler table and this is a must for that. 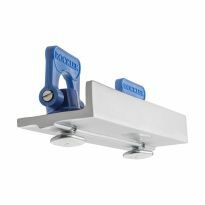 Make project holding on my workbench T Track top easier. I already have the basic setup. 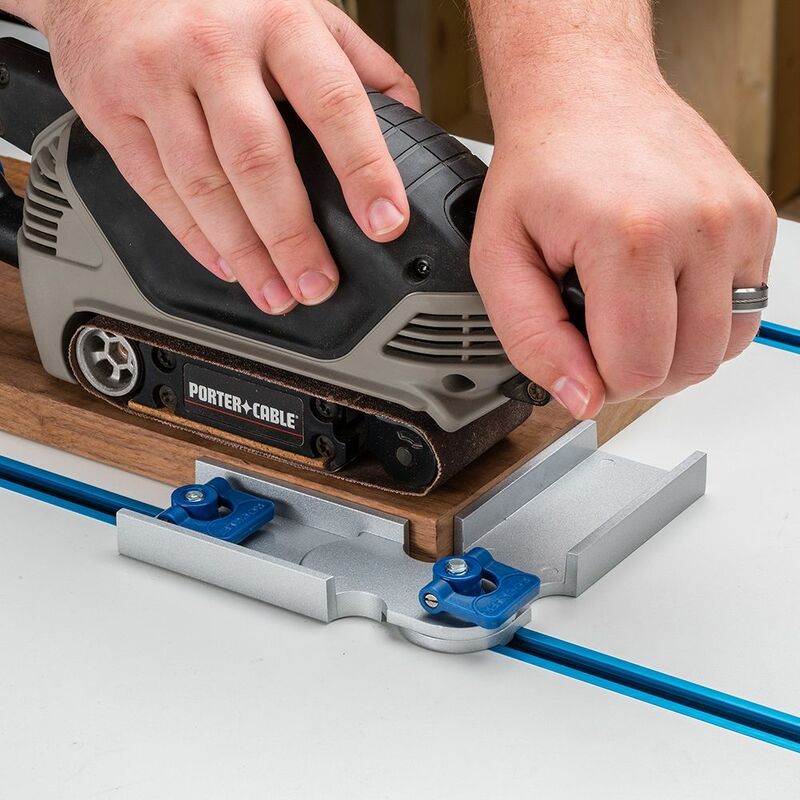 The corner jig would save time. To go with my new T-Track table top. Can I buy t track at a retail store? BEST ANSWER: I don’t believe that t track is a regularly carried item at most retail stores. 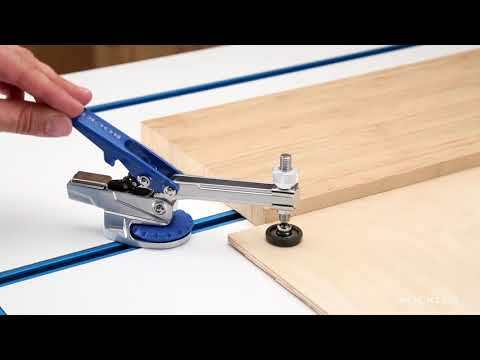 Rockler stores do carry it in many different configurations if you are located near one. 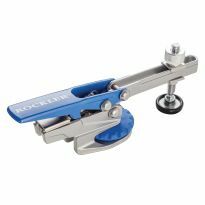 I am not sure, I use the Rocker Universal T Track. I have not seen any T Tracks at the big box lumber retailers. To date I have not seen the corner t track or anything similar in the stores.